A well-engaged workforce is aligned with the organization. The employees are fully involved and enthusiastic about their work. 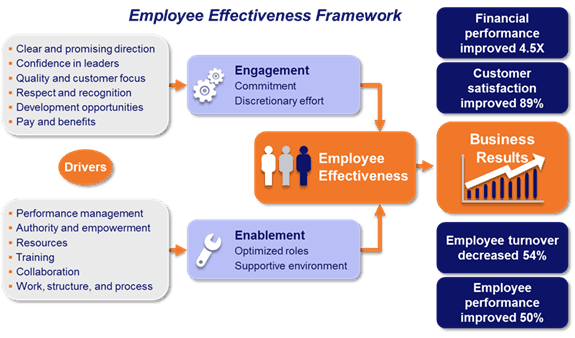 Engaged employees care about the future of the organization, and are likely to perform better on business-critical key performance indicators such as profit, innovation or safety. Highly engaged workers create meaningful impact on the success of the organisation. When this happens, employee will stay on the job and be productive and eventually employees will reap benefits. In today’s war for talent, organizations are implementing various strategies to attract and retain their employees – from providing workplace flexibility, introducing flexitime system, offering longer breaks to providing employees with competitive compensation. However, organizations tend to overlook employee recognition. Employee recognition – an effective element that boosts employee engagement – refers to the way organizations acknowledge employees’ behaviour, effort and accomplishment that support organizations’ goals. Based on Korn Ferry’s findings, many organizations primarily view recognition programs as a way to engage and motivate employees. Harvard Business Review reported that 72 percent of business leaders rank recognition as having significant impact on employee engagement. Contrary to popular belief, employee recognition needs to be done at all levels of the organization. When done right, business leaders can drive employee performance and improve business performance. Additionally, Korn Ferry found that recognition is deemed as one of the most meaningful rewards, and observed that many organizations are including recognition as part of the reward program. Based on The Manager’s Guide to Rewards (2004), injecting an element of employee recognition reduced employee turnover, increased productivity; in turn creating a positive work environment. How is employee recognition important? Undoubtedly, employee recognition must be sincere and heartfelt in order to be effective. Such recognition can be either formal or informal – formal initiatives can be put in place on a weekly, monthly or yearly basis, with informal recognition taking place when it is merited. Korn Ferry had compiled a list of best practices to help organizations increase their employee recognition efforts. They could start from transforming the culture within the organization. Recognize the years of service in organization. This is an excellent way for organizations to show that they value ongoing dedication and contribution of individuals. Introduce non-monetary reward scheme by recognizing people based on specific result. For instance, ‘Salesperson of the month’ or ‘Employee of the year’. Implement peer-to-peer recognition. Encourage employees to acknowledge each other for jobs well done. You’ll be surprised at the impact of a simple thank you! Acknowledge individual or team success stories at staff meeting, and do not let the employees’ good work go unnoticed. Of course, employee recognition does not replace the need for feedback. Organizations still need an honest feedback system to drive alignment and performance. Dewi Tobing is a Client Director at Korn Ferry Advisory, Indonesia. She specialises in designing and facilitating behavioral competency modelling and assessment, performance management, leadership and employee survey. Working closely with the senior management and HR teams to align their corporate HR strategy and values, Dewi guides organisations in defining and implementing HR strategy, organisation structure, roles, accountabilities and performance targets to complement business strategies and improve the organisation performance.